Without a doubt, 2012 had plenty of entertaining movies with mass appeal with which to slop the hoard of cinephiles and assuage their glutton for moving pictures. The box office stats certainly show a trend in the types of movies that people enjoy watching, and it was absolutely no surprise. Action/adventure seems to always get people out to the theaters, particularly those originating from comic books and consisting of monumentally large budgets. I thought it might be fun to take a look at the top 5 grossing films from this year and pair them with lesser seen alternative films that compliment them quite nicely. I will admit that at the time of writing this list I have not seen the 3rd and 5th top grossing movies from this year, so my recommendations will be educated guesses..
As I mentioned before, this is one of the films I didn’t see this year. Having seen two and a half of the previous Ice Age films, I think I have a pretty good idea of what this one was all about. These movies are pretty much the animated kiddie staples for the box office; giving parents a few hours of respite from their little monsters while offering as little artistic value as possible. It’s for this reason I recommend my favorite animated movie of the year ParaNorman. 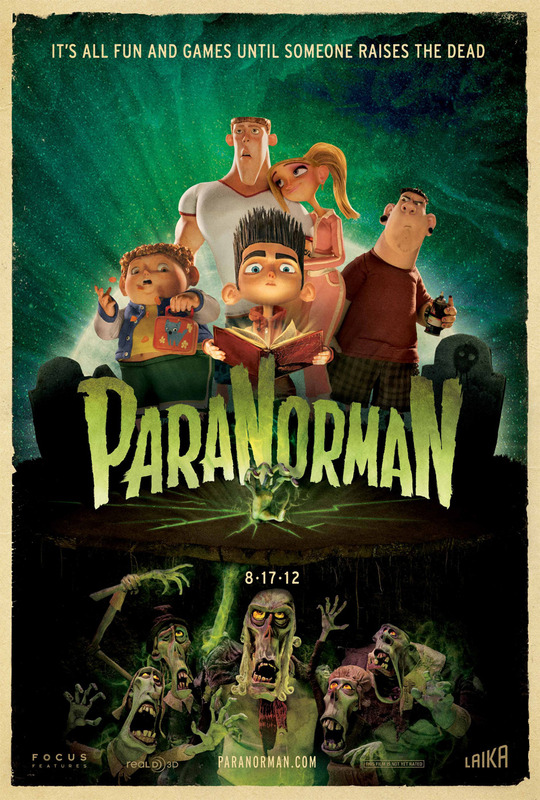 ParaNorman could easily be viewed as an animated sequel to The Sixth Sense. It follows a young boy named Norman who is the only one in his town capable of seeing and communicating with the dead. When a curse summons a group of zombies from their graves, it’s up to Norman to stop the carnage. It’s essentially a “my first zombie movie”, in that it presents horror movie themes and scenarios in a childlike and visually fun environment. Paring excellent voice acting with interesting and engaging animation allows it to be engrossing both visually and through its narrative. The Hobbit was my favorite movie of 2012, and I wasn’t the only one that felt this way. It was the best fantasy movie I’ve seen in years. Everyone pretty much knew what to expect going into this due to the wild success of The Lord of the Rings and we certainly weren’t disappointed. There is another fantasy movie that features a young and unlikely hero embarking on a quest of immeasurable importance (come to think of it there are probably thousands of fantasy films with the exact same basic premise.) 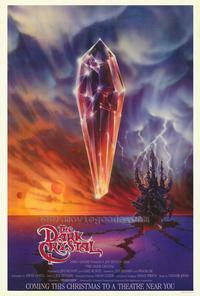 The Dark Crystal is a film that is often referred to, but rarely seen. Jim Henson created a fascinating world filled with a ridiculous amount of puppets. Behind the scenes are probably twice as many people controlling these same puppets. Henson created some of the best creatures on film which is part of what makes The Dark Crystal so intriguing. It’s darker than anything The Muppets have starred in and not as lighthearted and “fun” as Labrynth offering a side of the Henson legacy that is rarely seen. Skyfall is one of the movies that I really regret missing. I have every intention to see it when it’s released on DVD and Blu-Ray, however for this post I’ll have to refer to my knowledge of past Bond movies and recommend based on what I know. When figuring out what movie to recommend with Skyfall I eventually thought about some things that make the bond character so enjoyable to watch. Bond is a skilled assassin, he’s able to adapt to different situations and environments and he’s able to keep his head when he’s in terrible danger. 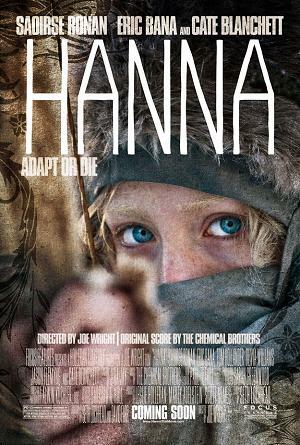 The titular character in the movie Hanna shares many of these qualities with one major difference. She’s a 15 year old girl. Hannah is trained by her ex CIA father to be a skilled assassin from the age of two. Throughout the course of the film we see her put various skills to use as she’s on the run, hunted by the CIA. The movie takes cinematic liberty, treating us to exciting and visually unique action and chase sequences. The story can be a bit confusing at times, but the dead-on character acting from everyone involved makes it well worth the watch. This was another movie that I really loved. As a matter of fact, there are few Batman movies I don’t like (namely Batman and Robin) so I’m going to cheat a little bit and offer up another of the Dark Knight’s many cinematic tributes. Batman the Animated Series is fantastic. They provided excellent quality cartoons that, although kid-friendly, certainly didn’t shy too far from the source material. 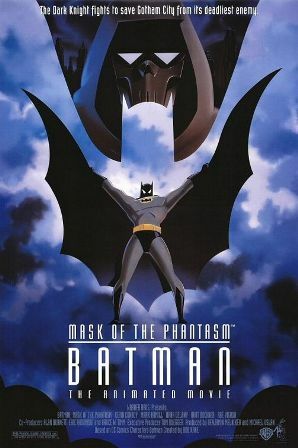 The series produced a number of feature length movies, among them was Mask of the Phantasm. The film used the signature dark style of the series which used black paper as a starting background for the frames in lieu of white to maintain that same dark feel. In this film, Batman is blamed for the deaths of numerous crime bosses, the murders are actually being committed by another masked and caped vigilante. This puts Batman in a position that forces him to save and protect his enemies while keeping his own demons at bay. I’m pretty sure everyone reading this has seen The Avengers; Marvels all star masterpiece was the highest grossing movie of the year. Joss Whedon delivered a super hero tour de force that left the entire world impressed with what he accomplished. For this reason I want to recommend another movie written and directed by Joss Whedon: Serenity. The differences between Serenity and The Avengers is staggering. One is based on a successful comic book empire, preceded by dozens of movies over the past few decades culminating in the mega-blockbuster that was The Avengers. and then there is Serenity; a film that almost wasn’t made, continuing a TV show that was cancelled with only 14 episode completed. Still, Firefly (the television show that preceded the movie) and Serenity gained a large cult following. The show had a fairly simple plot, it followed a band of guns-for-hire that took whatever jobs they could, legal or otherwise. It was a fun mixture of the Science/Fiction and Western genres. The movie was a chance to both tie up loose ends and wish the loyal fans of the franchise a well deserved goodbye. 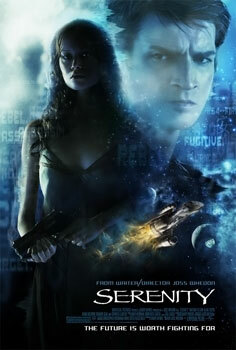 There is no need to see Firefly before Serenity (I hadn’t even heard of Firefly) though it may make it more enjoyable. The catchy-sometimes-corny dialogue and ever-so-slightly melodramatic tones create a dramatic mixture of sci-fi, comedy and adventure that feels like Indiana Jones in space.